In this exercise we take it up a notch, and add some different aspects. It starts with some simple lines, that act as a basis for step two, which are small circles, and other basic shapes. Then adding a bit of extra spice with some small adjustments. Next we go into some bigger motions, but continuing on with the basic shapes. 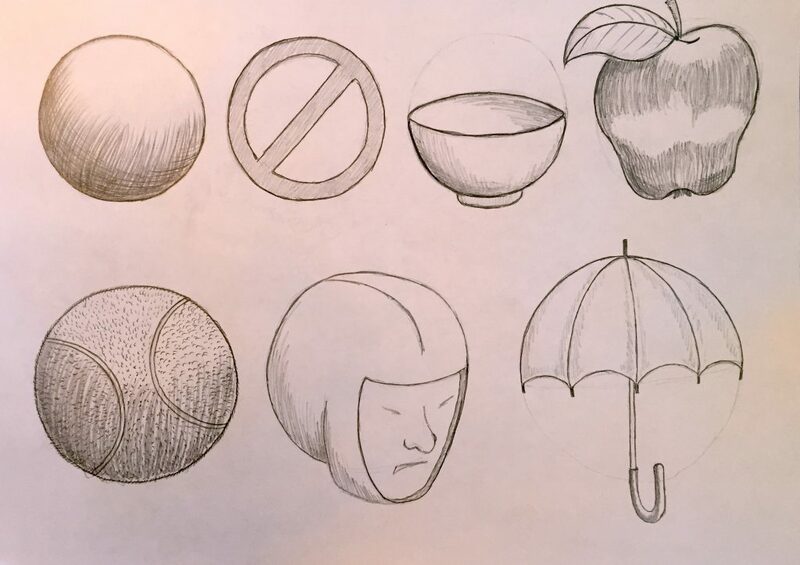 When all is said and done, we have an excellent exercise, that works on many different aspects of your drawing technique, with a focus on circles. Regular work with this exercise, will have you seeing big improvements to your drawing hand. Now that we’ve practiced our circles, let’s put them to work with some actual drawings, shall we…?!? In fact, you can do anything you will. Go crazy! Add or change as much as you like with these drawings. Or just do them as is… The point is to get some drawing miles in your hands. And of course, I encourage you to practice your creativity, and come up with your own ideas. But don’t worry, if you can’t come up with any for now! As you draw more, you will start noticing shapes of things in your vicinity, and ideas will come to you!